Why have I lost the picture on some Sky channels but I still have the sound? Sky is in the process of making changes to their Satellite Transmission in preparation for the changeover to DVB-S2 in March of this year. The effect of these changes can cause some channels to receive sounds but no picture. Once Sky has completed all of these changes we will load a new channel list for our customers. In the meantime please visit our "New Channels" section for instructions on how to scan these channels to bring your picture back. Why have I lost the sound on my TV but I still have the picture? Your Motorhome/Caravan probably has a low voltage going into the TV. Plug the TV directly into a 230 Volt source with the cable supplied to test. Please click this link for the 'new channels' section of our website. If your missing channels are listed here then they have been changed by the service provider and you will require a channel update. Continue to scroll through the 'New Channels' page for instructions on how to update your product. If you are using a manual dish, change your device to channel 3 and then access the signal bar screen. Adjust your dish to gain maximum strength. Change back to the channels you could not view as they should be working now. I can only view Freeview channels, why can't I view my Pay-To-View channels? RSE TV - the chip side of the card should be inserted into the TV first, with the blue side of card facing toward you and the white side of card facing toward the wall. SET TOP BOX - the chip side of the card should be inserted into the set top box first. Please refer to the label on the set top box to ensure you have the card right way up, as each model is different. 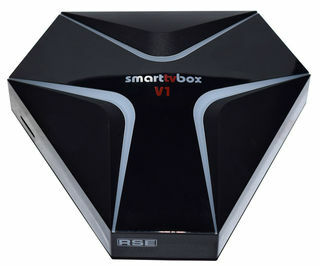 If this does not resolve the issue for your TV/Set Top Box, you may have been away for more than 3 weeks with your card out of its home decoder. Please click this link for instructions on how to turn ON your EMMs to re-activate your card. Why does my TV turn off when I turn on the water tap or use other appliances in my Motorhome/Caravan? You could require a DC Filter to smooth any voltage fluctuations throughout your Motorhome/Caravan. Click this link to purchase from our website. My Pay-To-View card has been upgraded, why won't the new card work in my TV/Set Top Box? The new 'Lights Camera Action' card will not work in any 12V TV with a Diablo Cam and in older Set Top Boxes. If you have an older set top box, we offer the MiniLite receiver which is compatible with this new card and very easy to install. Click this link to view the MiniLite. 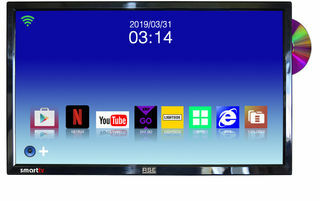 If you are in the market for a brand new TV, our latest WHDTV-T Series allows you to simply slide your Pay-To-View card into the side of the TV, no longer requiring the Diablo Cam. Click this link to view the WHDTV-T Series.